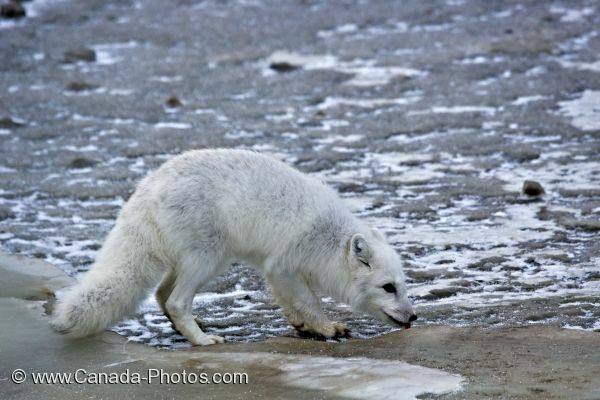 The Arctic Fox spends a great deal of time around the coastline of the Hudson Bay in Churchill, Manitoba during the winter months foraging for food. Visitors to the area will often see the Arctic Fox along the water's edge with their beautiful white colored coat as it blends in with the frozen landscape. Picture of an Arctic Fox foraging along the coastline of the Hudson Bay in Churchill, Manitoba.